Microsoft SQL Server Analysis Services (SSAS) enables IT professionals to build semantic models over large, integrated managed datasets for end-user consumption. SSAS runs on Windows and is part of the larger suite of SQL Server’s BI offerings. SSAS 2017 brings a host of new connectivity and modeling features for comprehensive, enterprise-scale analytic solutions delivering actionable insights. 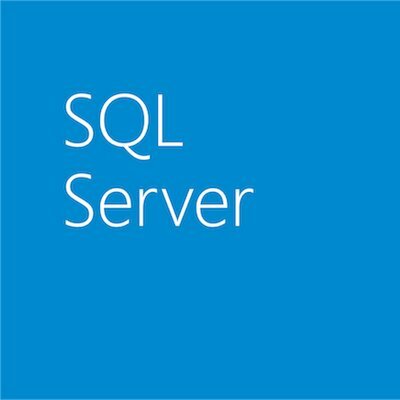 To benefit from the new features for models at the 1400 compatibility level, you’ll need to download and install SQL Server Data Tools (SSDT) 17.0 from documentation. 1400 models introduce a new infrastructure for data connectivity and ingestion into tabular models with support for TOM APIs and TMSL scripting. 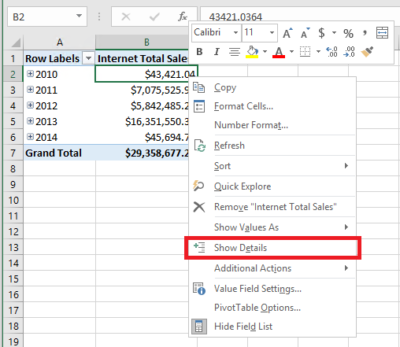 This is based on the similar Power Query functionality in Power BI Desktop and Microsoft Excel 2016. For more information, please refer to the Analysis Services Team blog. 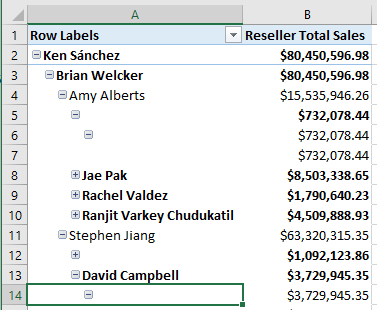 Further information on Detail Rows is available our blog post, What’s new for SQL Server vNext on Windows CTP 1.1 for Analysis Services. 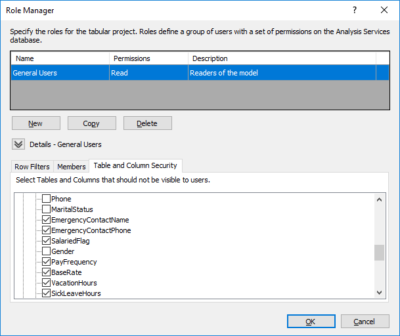 Roles in tabular models support a granular list of permissions, and row-level filters to help protect sensitive data. 1400 models introduce table- and column-level security allowing sensitive table and column names to be protected in addition to the data within them. Collectively these features are referred to as object-level security (OLS). 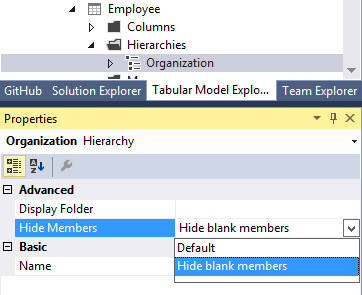 The following example uses the Role Manager in SSDT to protect sensitive employee information. 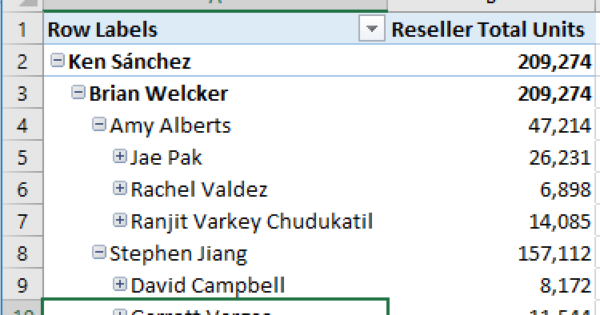 Unauthorized users cannot access the selected columns using client tools like Power BI and Excel Pivot Tables. 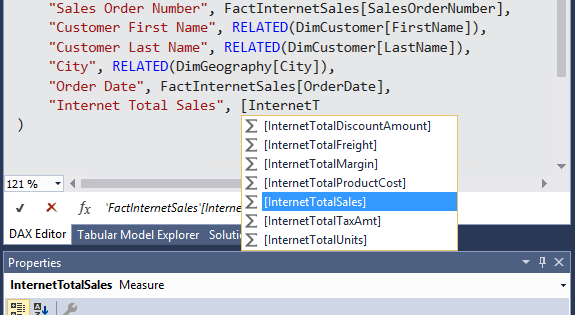 Additionally, such users cannot query the columns using DAX or MDX, or measures that refer to them. 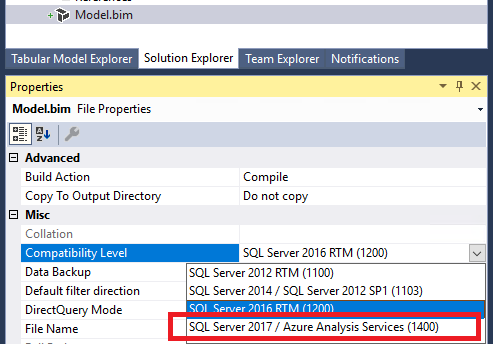 Further information on OLS is available in a recent post, titled, What’s new in SQL Server 2017 CTP 2.0 for Analysis Services. Various other features such as the following are introduced with the 1400 compatibility level. For more information, please refer to the Analysis Services Team blogs, What’s new for SQL Server vNext on Windows CTP 1.1 for Analysis Services and What’s new in SQL Server 2017 CTP 2.0 for Analysis Services. DAX enhancements to make DAX more accessible and powerful. These include the IN operator, and table and row constructors.